If you haven’t it’s a must, such a fun site, filled with fun contests and free giveaways. Well i don’t know about you but I’m always in for a fun freebie. So here goes: fashion and cookie (another fashion blog) is doing a spring dress season freebie. The clothing company is called “in love with fashion” it’s a british clothing line. Simply follow the steps by clicking on the image above for your chance to Win! tab to log in to rafflecopter through your Facebook. What are you waiting for sign up and you could be a lucky winner in this fun giveaway. Posted in Home and tagged fashionandcookie, free, freegrechen, giveaway, in love with fashion. Bookmark the permalink. Which gave me so much respect for my mother who not only had to bring me up on her own but have the responsibility to protect me as a mother as well as a father figure. I could not of asked for a better mother. She has loved me endlessly and has always been a great example to me. Her willingness to forever seek to reach out and help others. I received a phone call on my mobile from my mother. It had been a while so you could imagine my thrill to speak to her and inform her on any new events that had happened in my life, any who……. I began to share with her the experience i got to have, with this sweet young blind man. He wanted some guidance when approaching the train station. His inner peace and happiness brought me to tears, I felt utterly blessed to have had chance to help this fine gent. Which brought my mother to a story of a recent event with a lonely fragile lady. Whilst she was on her way home this lady appeared to have caught my mothers attention, she was waving at her. She told my mother that she was 93 years old and wanted some assistance to get to the bus stop. My mother was filled with glee to help to poor lil soul out, when the bus arrived my mother said “don’t you worry love, i’ll be here waiting until you get on to your bus safe and sound.” As she approached the bus, my mother kissed her on the cheek and wished her a wonderful day. This poor lady fell whilst stepping on the bus hitting the curb which resulted with a huge gash in her arm right to the bone. They took a taxi to the emergency room to get her stitched up and all in check with her health. My mother then took her home in a taxi, she thanked the lady for giving her the opportunity to help her out and made sure she had my mothers number in case of any emergencies. The lady was oh so grateful and said “may god be with you always and i will pray for you in thanks for the sweet things you did for me today”. My mother forever inspires me to be a better person and forever seek to help others. Sometimes i get so caught up in my selfish issues when i should put them aside and seek to serve someone else and help them in any way i can. 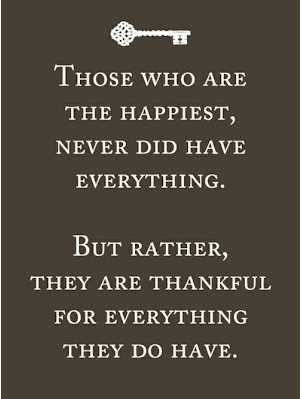 Always be grateful for what you have, you are honestly so lucky to even have a life. There’s people in life that have a risk and pray that they may have a chance to at least live on day more. Even through a simple smile or compliment you will make a difference in someone’s life. So I’ve finally come to a conclusion and made myself a little delight some blog. Never thought id actually come to the blogging world but i thought what the hell. I’ll be sharing some funny experiences that come across in my life cause might I add that its pretty much a TV Programme or as you Americans put it TV Show. So stay tuned and I’ll be sharing some personal experiences too.